Join thousands of other North Texans ! Our newsletter was published from 2012-2018. 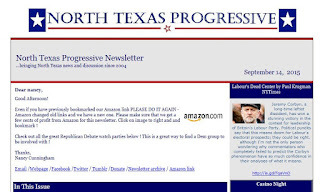 We now promote Democratic and Progressive events going on across North Texas through Twitter! No where else will you find all these events ! 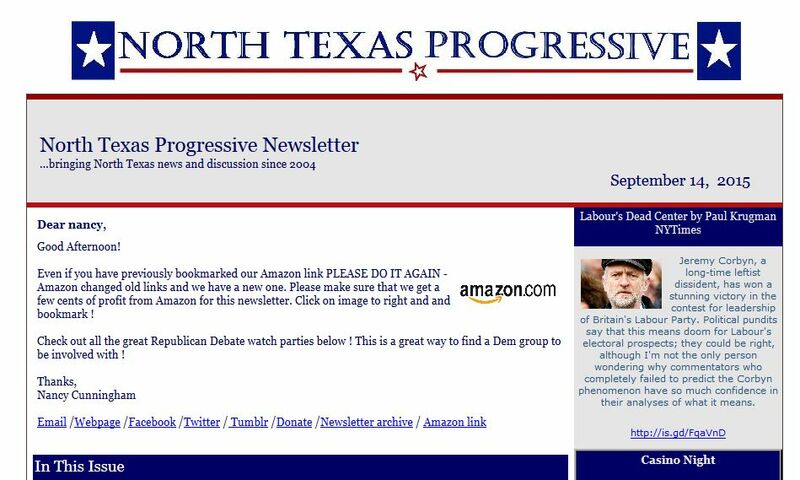 We started out as a fan group for Dallas Air America radio station in 2005 and have continued to support progressive media in NTX ever since ..